Home grown Coloradans seemingly come to the world with a built-in inferiority complex (some Dentists have been known to dress outlandishly and tart up their offices with silly pictures). Oh, Colorado is a beautiful state to live in (and in our souls we know the rest of the world envies us), but we still cringe at references to Denver as a cowtown (hey Bubba, let’s not forget which team won Super Bowl 50). Colorado Dentists are certainly not immune to this paranoia , yet a 1990 article listing the top ten papers on Operative Dentistry from the 20th Century included three by Colorado Dentists. These were: 1951 – “Restorations Of Silver Amalgam” by Dr. Miles Markley, 1958 – “Pin Reinforcement And Retention Of Amalgam Foundations And Restorations” also by Dr. Markley and 1959 – “Preparation And Condensation Of Amalgam With A Low Mercury – Alloy Ratio” by Dr. Wilmer Eames. The purpose of this article is to present some other first-time achievements of our Colorado Dental brethren in the pursuit of odontological excellence (with perhaps a bit of a light heart). . Certainly there must be other such firsts or good anecdotes about Colorado Dentistry which your intrepid author would love to hear so feel free to send back a comment or two. Arguably the most important Colorado first is the discovery of the significance of Fluorine overdoses in the water supply. As Dr. Stewart Whitmarsh reported in his October 1993 article Fluoride – It Started In Colorado, Dr. Frederick McKay became interested in the brown staining he saw on the teeth of many of his Colorado Springs patients. By 1908 he began a campaign to investigate the problem though he had limited funds to do so. With an assist from Dr. G. V. Black, McKay worked to determine where the mottling lesions occurred geographically and attempted to come up with a cause. Some of his theories were the local milk supply, eating too much pork, radium contamination, Calcium deficiency or a correlation between freckles and the mottling. It would take till 1931 for a letter from Alcoa chemist H. V. Churchill to point McKay to high levels of fluorine in the water supply as the causative agent. It would, however, not be till 1943 that the relationship between fluoridated water and decreased caries activity would be established. On May 27, 1946 the Colorado State Dental Association gave the first Colorado Public Health Director (Dr. Robert Downs) the greenlight to start artificially fluoridating our water supplies. This made Colorado the 2nd state (sorry, but Wisconsin beat us to it) to do so. The first Colorado city to be fluoridated by Dr. Downs was Grand Junction. The late Dr. Downs told me several interesting stories about the fight he had on his hands trying to convince skeptics that fluoridation wasn’t a communist plot to soften the minds of red-blooded Americans. For instance, he reported that they would start fluoridating the water on a certain date, but secretly they actually didn’t to see what the reaction would be. Immediately the critics started blaming everything from dead flower gardens to stomach ailments on the fluoride which of course wasn’t actually in the water yet. Next, Dr. Downs secretly added fluoride to the water with no discernible problems and no public complaints. Communist plot or not, the amount of tooth decay in Colorado and elsewhere dropped off thanks to these pioneers. Dr. Wilmer Eames was born in Kansas City and received his Dental degree at Kansas City Western. He spent a large portion of the intervening years in Colorado (Grand Valley) raising sweet cherries with his family (he also once won 1st prize for his large strawberries at the fair). Following graduation and marriage to his lifelong partner Elaine, Dr. Eames returned to Colorado. He practiced Dentistry in Grand Junction, at Lowry Field, in Denver (with Dr. Miles Markley) and in Glenwood Springs from 1939 to 1961. Older Dentists may be familiar with his 112+ publications and 600+ programs presented on the lecture circuit, but it all started when (as a dental student) he asked an Operative instructor why Dental amalgam was prepared with excess mercury that had to be wrung out to use. The instructor turned his back on this young punk who dared to question the wisdom of the manufacturers. Thus chastened, young Eames filed this question in his brain to emerge years later while admiring a sunset during a return trip to Glenwood Springs from Denver. Your’s truly was once shown two notebooks filled with correspondence starting from 1953 and relating to his research. These discussions back and forth were with such distinguished names as Eugene Skinner, Ralph Phillips, Miles Markley and George Hollenback. With this level of encouragement, the so-called ‘1 to 1 amalgam ratio’ (or Eames technique) was first reported in the April 1959 JADA causing great wailing and gnashing of teeth in the offices of squeeze-cloth manufacturers. Of note is another of Dr. Eames’ firsts – the so-called ‘aught bur’ which (in the face of ever shrinking sizes of Dental burs) he first proposed in 1978 (JADA) – “Minimum Instrumentation For Conservative Operative Procedures”. He decided that we Dentists were heading to a dental bur with no head at all and used references from esteemed experts like Alfred E Neumann from the science journal Mad Magazine. Sales figures of the aught bur were predictably low, but the paper was hilarious and in my estimation the best article ever to appear in JADA (of course many stodgy DDS’s were not amused and complained that humor would dare intrude on their mundane lives). I was proud to call Dr. and Mrs. Eames friends and miss them dearly. Forhan’s Pyorrhea Preparation is, perhaps, not as well-known today as Crest or Colgate, but in the early 1900’s this mail order product was sold by Colorado Dentist R. J. Forhan. In the 1956 Brand Book of the N.Y. chapter of the Westerners, Dr. Forhan claimed to have sold the rights to his paste for ten million dollars in 1928 after moving to N.Y. At the age of four, Forhan came to Denver (1871) and would successfully practice Dentistry there till 1894 when he became intrigued by the lure of quick riches in Cripple Creek. Leaving his family, he took the stage to the mountains and set up shop over the Cripple Creek post office to practice for several more years. The call of his family in Denver and the desire to market his Pyorrhea Preparation caused him to leave Cripple Creek. The April 1922 issue of Oral Hygiene contains a two page ad for his products listing a two dollar bottle of Astringent For The Dentist and sixty cent tubes of Forhan’s For The Gums. The ad further states that it contains “no harsh grit to irritate inflamed tissue” and “is being prescribed by progressive dentists everywhere”. Sadly, a quick survey of the toothpaste row at the local grocery store, however, doesn’t seem to turn up a tube of Forhan’s so patient’s in the 2000’s will simply have to make do with Colgate, Crest, etc. Any discussion of Colorado Dental firsts must include the Smedley family – seemingly Colorado Dental royalty. Dr. William Smedley’s long flowing white beard is in virtually every picture relating to early Colorado Dentistry and would lend his last name to a Denver elementary school. He was the first President of the Colorado State Dental Association in 1887. His sons V. Clyde and Will established one of (if not the) first Mayo-type Dental groups with George Warner (Oral Diagnosis) and Max Giesecke (Perio) in 1919. The idea was to have different departments under one roof and grew to include up to ten Dentists. They were located in the California Building till 1926 when they signed the first lease to occupy the top floor in the new Republic Building at 16th and Tremont (since torn down). Clyde Smedley in the 1940’s developed a product later sold by Kerr – a pressure indictor for dentures which was cream color for the tissue side and red color on the obverse. This was more along the lines of a wax than a paste. The original Smedley home (built in 1872 at 1020 9th St.) is still preserved on the Auraria campus just north of Colfax. From 1947 till 1973 it housed Denver’s first Hispanically owned Mexican restaurant. Of note is that William’s grandchildren John and Charles also were prominent Dentists. 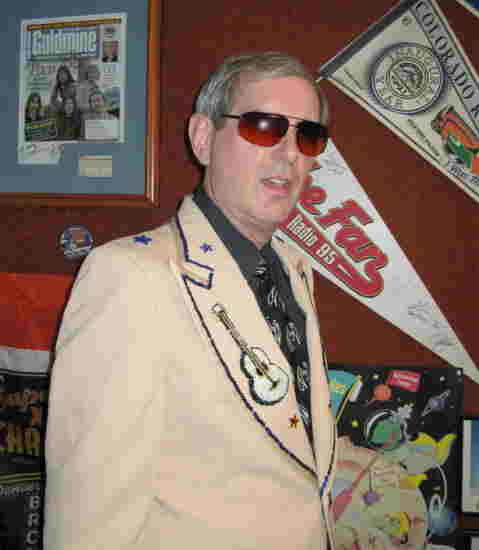 While John was a highly respected practitioner and teacher, Charles was immortalized on the old Pete Smythe radio broadcasts as East Tincup’s favorite Dentist – Hardrock Smedley who was forever prospecting in Smythe’s mouth. Early Orthodontists used precious metals to fabricate bands. A renegade group (derogatorily called ‘steel men’ or ‘iron men’), however, saw prefab stainless steel bands and wires as the future. Dr. Archie Brusse founded Rocky Mountain Metal (later Rocky Mountain Orthodontics or RMO today located on Colfax in Denver). He fought an uphill battle that followed this new concept introduced at the 1933 meeting of the American Assoc. of Orthodontists in Oklahoma City . The big problem with stainless steel was the corrosion of the joint in the band. Metallurgist Carl Blaurock worked with Dr. Brusse and others to develop a solder and flux for the bands, but the problem was always the same – the bands would corrode and break. The problem was solved when the Germans came up with an electric spot welder. Progress was slow when Denver Pedodontist Dr. William P. Humphrey came up with the idea of a preformed stainless steel crown. Through his dad (Orthodontist William R. Humphrey) he was familiar with the RMO preformed bands and wondered if something like them could be fashioned to cover badly broken down teeth. It turned out that the anterior bands originally had a cap over them which had to be removed and this was ideal for making a crown. He fabricated dies by creating shapes for the occlusal then the metal was pounded into the desired shape. While RMO had the original, the market was eventually lost to Unitek because they came up with a pre-festooned stainless steel crown. Another pioneering idea they developed with RMO was the preformed band and loop spacer that didn’t require an extra appointment to fabricate. The crown lead to a major breakthrough in the growth of RMO when schools finally took notice of these ‘upstart’ techniques and started allowing them to be used in Dental training. Under son Martin, with his wife B.A., RMO became an international force in ortho bands, brackets, wires, pliers and computer diagnostics. By the way, I was pleased to know the late Carl Blaurock via our shared interest in western history through our membership in the Denver Posse of Westerners. He was a fine metallurgist and also a pioneering mountaineer being one of the founders of the Colorado Mountain Club. 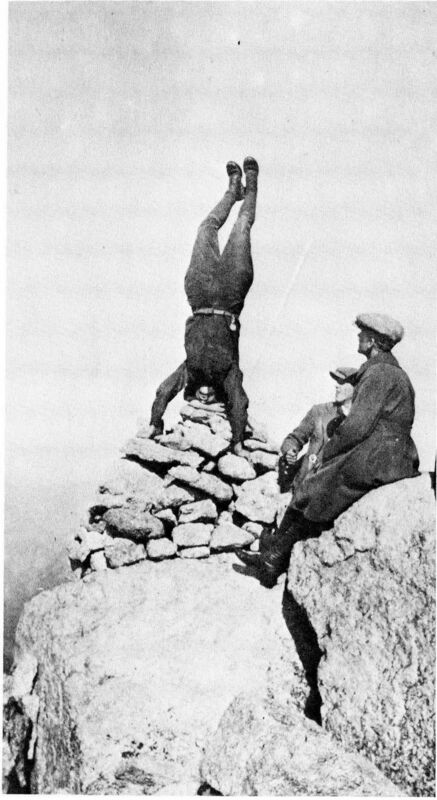 His trademark was doing a headstand on the summit of a 14er he had just climbed. Mount Blaurock in the Collegiate Peaks near Buena Vista is named for him. Just as the public calls a tissue a Kleenex, so too have they referred to an oral irrigator as a Water Pik. So ubiquitous is this product that it is hard to remember that it traces to a small Ft. Collins company. Dr. Gerald Moyer had been interested in creating an oral device to remove debris since 1955. His idea was to create a unit with a reservoir and motor to propel liquid through a small hose to loosen food from around teeth. A suitable motor couldn’t be found till John Mattingly (a mechanical Engineer from Colorado State Univ.) was convinced to work on the problem. 145 leaky piston motors were made and discarded, but number 146 was the one. The big problem with the motor, however, was that it created a pulsating stream rather than the steady stream that the inventors wanted. The pulsating device was patented anyway and then the process of rounding up money to market the product was begun. After the original 16 investors ponied up $49,000 Aqua Tec was ready to roll (if you were one of those original investors, congratulations on being a part of one of the great rags to riches investments in Colorado history). 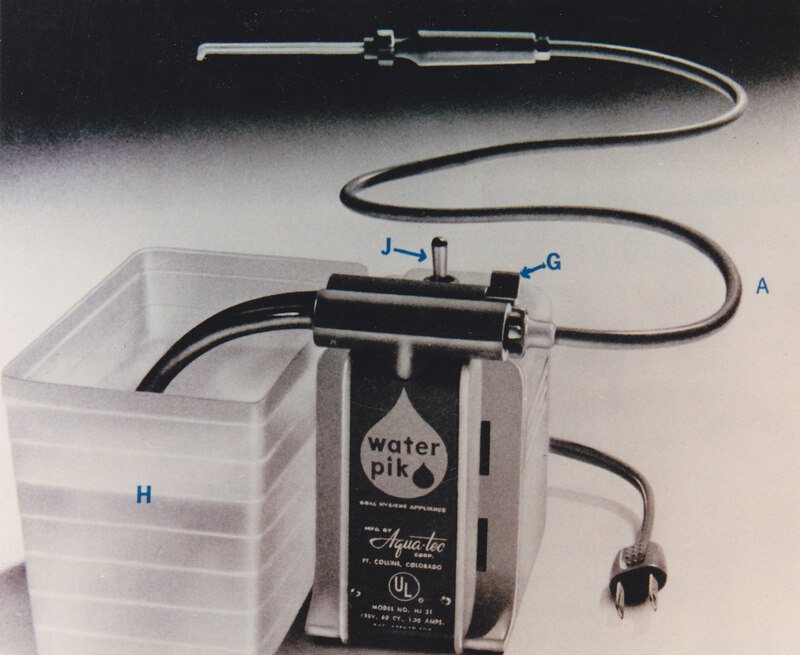 In 1962, Aqua Tec began producing the Model HJ 31 Water Pik in the ‘little green house’ behind the Hoffbrau on Highway 14. They outlasted as many as 26 competitors and sold millions of units in 65 countries prior to being sold themselves to Teledyne. Following the sale of Water Pik, the team that had built the company needed a new challenge and found it in Vipont. Started as a Wyoming research firm in 1968, they moved to Ft. Collins in the 1970s. At that time Sanguinaria was being investigated as an antibacterial agent for skin cancer patients and on retraction chord for anti-periodontal disease properties (though in high concentrations). This latter application proved to be the easiest to submit to the FDA as a toothpaste but in a more dilute form – in 1982 Viadent toothpaste debuted. Larry Frederick of Vipont and Aqua Tec credited the direct involvement of Dentists and Hygienists in the success of those companies. Colgate bought the Viadent product in 1989/90, but eventually discontinued it when it was found that sanguinaria use increase the incidence of leukoplakic lesions. Many of the Vipont people created another Ft. Collins success story in Atrix Labs which was sold in 2004 to QLT. (proponent of such things as ultra conservative cavity preps and threaded wire pin retention for amalgam) was drilling holes in the handles of his patients’ toothbrushes so they could insert a toothpick in them to better clean teeth. Periodontist Dr. Bill Hiatt later picked up on this and determined to get a handle manufactured. 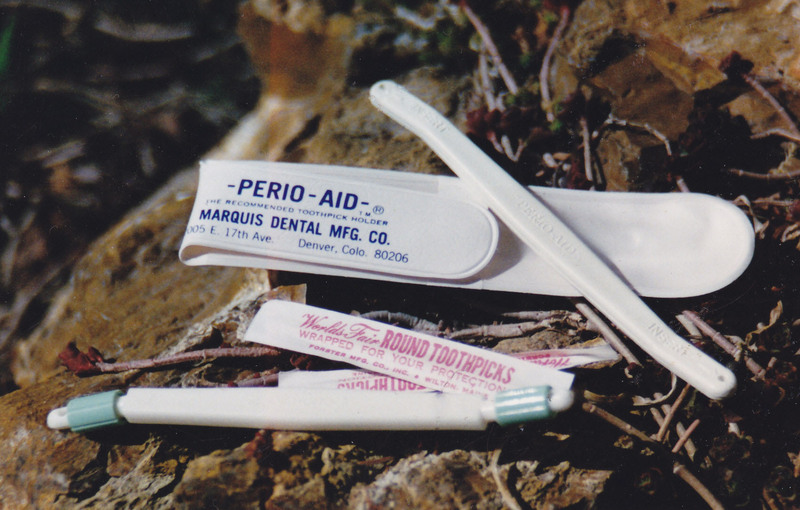 Dr. Hiatt had his curettes made by the Marquis Dental Manufacturing Co. so it was a natural for Charles Marquis to begin making Dr. Hiatt’s Perio-Aid in the 1950s. In addition to the three designs that the company developed over the years, son John Marquis’ company made one of the last color coded perio probes. For years located at E. 17th St. in Denver, the company moved to Chambers and Smith Rd. to continue to sell the Perio-Aid and Marquis X2 color coded Perio Probe. Hopefully this article has given everyone a reason to puff out our chests with pride, stride in to any room and loudly proclaim “I Am A Colorado Dentist And Darn Proud Of It!”.